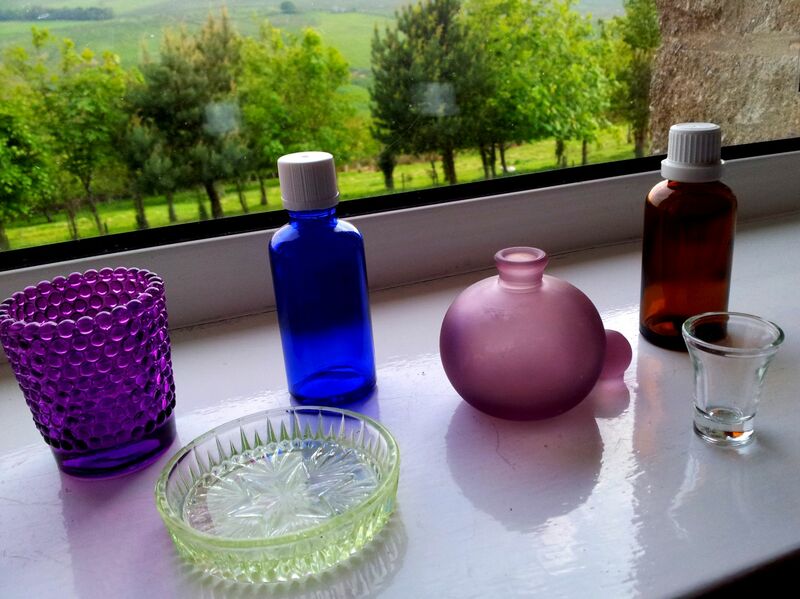 This little group of glass objects has been collecting on my windowsill over the past weeks. When I sit in my chair for a moment of repose I take the opportunity to run an appreciative eye over them. Now and then glancing out at the sky and clouds. (Or the rain running down the window pane!) Depending. They are as massed humanity. A vision of difference and sameness. Clothed only in colour. Transparent, nothing hidden. And that is how we are, at least how we are to those outside of ourselves. If one looks, with care, difference is just that. Difference. Particular, beautiful. As I sit I find my eye falling on a particular piece and staying there running my eyes around and though it. The blue is a favourite, the purple is new and pleasantly knobbly. The pale green tinted dish gets my attention, wide open and receptive. I’m tempted to put a stray bead or button in it but I’ll not. They all are empty. They will stay that way. Thus can the mass of humanity, the press of people, be known. Living reflectively has us transparent unto ourselves. Formal meditation cannot have us knowing our selves as anything other than transparent. Brilliant, lovely, lovable. Previous PostTrue Healing – present/listening/silenceNext PostExpanding and Contracting Self – Who ‘s Measuring! This quote brings a lump to my partner’s throat by the way. Love the quote. Quite close to a lump in throat myself ‘distinct participating in each other.’ Speaks volumes. Interesting person Theodor Adorno from what I have read, and briskly too. Glad you liked the post Dave. I felt something of the ‘muse’ return. It is not so much to do with content and information/teaching and more about ‘heart’. Where the words are coming from. AND without content there’s no post! Oh thank you Jessica, how good it is to know you are there, reading here. Perhaps those ‘stop and reflect’ moments are….well, about lots of aspects of living – body/mind together. Wonderful to know you are still around and reading here. Coming north any time? Good. 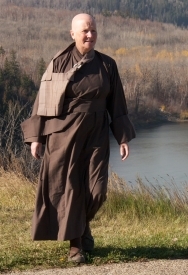 I hope I am there when you find your way up to the monastery.